You might know that Godaddy is one of the biggest registrars and managing millions of domains under their platform. But, when it comes to web hosting most of the Pro users would recommend not to use them for hosting your websites. So, Without more ado, let's just talk about web hosting alternative to GoDaddy that you can go for to avail reliable yet snappy services. If you're looking for "best" registrars for domain name registration then check out this article. Need more info? Let's discuss all of above hosts in details. I've explained all the essential features provided by each company to help you decide which one would be right for you. After checking these alternatives, if you need further assistance, just leave your message below in the comments section. 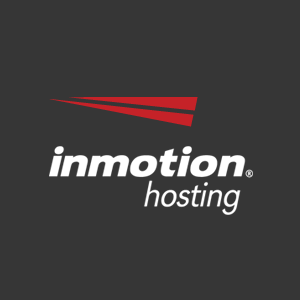 InMotion Hosting has A+ BBB rating and top rated CNET-certified web hosting company as well as one of the top-notch services similar to Godaddy. They provide unlimited resources, 99.9% server uptime, fast speed and best customer support even with the basic plan. With the very first plan named as "Launch", you can host two websites which is quite acceptable. If you want to start a blog and have less budget, then I must check InMotion services. They offer shared, reseller, dedicated, VPS, and WordPress optimized hosting packages. Their web hosting plan includes unlimited bandwidth and disk storage so no restriction on monthly traffic (Except Launch plan). Starting a website on InMotion is very easy and quick using one click installer scripts. With each hosting plan, you get a free domain and website backup feature too. InMotion uses SSD's for data storing to deliver 20x faster website loading speed and stability. Compare to Godaddy, their servers are lightening faster when it comes to site loading time. When we talk about their customer support, their customer support helps your anytime 24/7/365 days. You can contact them via live chat, phone call and through emails. Facing any issue? Just call them or use chat option and they will happily assist you. Personally, I found them user friendly, polite and helpful. InMotion claims to deliver 99.99% server uptime but in my experience, they won't. Recently, I tried them to host one small website and the uptime was 99% (last 30 days). They offer an extended money back duration of 90 days. So, you can start a website without any risk or money lose with this awesome Godaddy alternative. BlueHost is a well reputed WordPress hosting over the internet and quite famous among new customers. They considered as the top rated WP managed as well as shared hosting providers and also officially recommended by WordPress.org. Right now, I am using their hosting service for one of my sites and found them pretty good. BlueHost was founded by Matt Heaton in 2003 and known as one of the 20 largest web hosting companies all around the world. They offer domain name registration at standard prices with reasonable renewal rates. You can grab domain name just at $11.99 for .com, .net, .biz, .info, and .org extensions. BlueHost offer over 200+ TLD types including country-code, generic, and top level TLD domains. You can avail Shared, Dedicated, Managed WordPress, Cloud, and VPS servers for eCommerce and WordPress sites. Their web hosting plans are affordable and each of them includes unmetered bandwidth and data storage (except basic plan). When you choose them to host your website they will please you by giving a FREE primary domain name and zero site setup fee. They provide an enhanced control panel (Customized cPanel) with additional tools to manage your website easily and quickly. SiteGround is another awesome WordPress hosting company to build a fast loading website within budget and a great GoDaddy alternative. They are very popular due to high performance hosting and user friendly customer support. SiteGround team consists on tech geeks who loves to innovate new technologies and utilities them to craft an incredible hosting solution. And that's the main reason of reliable, fast and servers stability they offer. Besides, they have built-in tools and softwares such as SuperCacher to increase your site performance. SiteGround provides an exclusive SuperCacher tool to WordPress users to optimize their websites for better and fast loading speed. They use standard control panel which is beginner friendly and easy to manage. Their cPanel include 1-Click script installer, monitoring tool, IP blocker, FTP, email and account manager, and many other options. SiteGround is also an independent Non-Eig hosting company serving the customers since 2004. They are managing more than 500,000 domain names. The company provides wide rang of web hosting solutions, including shared, reseller dedicated, cloud hosting and special hosting packages for WordPress and Joomla websites. From small to large, all hosting plans include free daily backups, free SSL certificate by Let's Encrypt, CloudFlare CDN and website builder. As I said previously, SiteGround provides a user friendly customer support which can be utilized through live chat, email, and telephone. Their support team is available 24/7 so you can contact them anytime in case of trouble. They use latest LXC linux technology to minimize downtime risk and also guaranteed 99.99% uptime. All of these features and benefits comes with 30 days money back guarantee. I highly recommend SiteGround if you really want to get incredible services at affordable prices and looking for an awesome Godaddy alternative. It was founded in 2001 with the name of Iniquinet and then renamed to A2Hosting. They offer web hosting solutions with features that can cover small and large business websites needs. 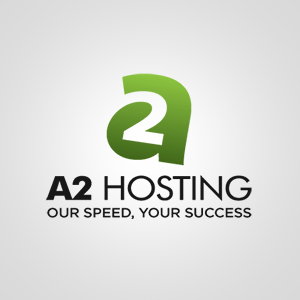 A2Hosting has multiple data centers that are located in the various location such as primary data center in Michigan, USA, and others are in Amsterdam, Europe, and Singapore, Asia. You can register domain name through A2 Hosting at the price of $14.95 per year for .com, .net, .org, .us and .info TLD's. The domain renewal rates are also same as the registration price. They offer almost +50 top-level domain extensions for registration. 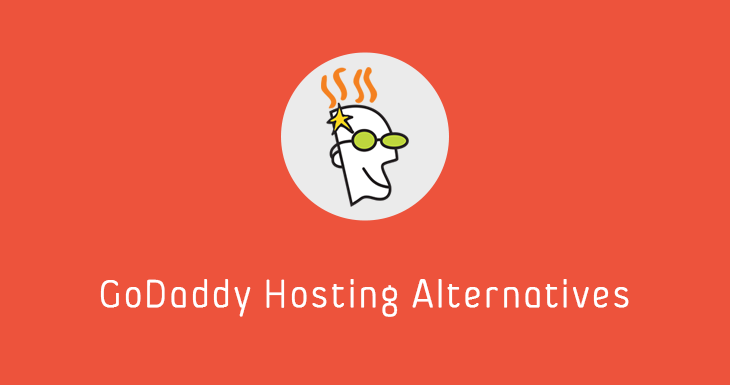 Unfortunately, they don't provide free WHOIS privacy like GoDaddy but you can use them if looking for an excellent GoDaddy alternative regarding web hosting as well as domain registrar. Just like all above companies, you can get different types of web hosting plans such as Shared, VPS, Dedicated, Reseller, Cloud-based hosting and Managed WordPress hosting. The very basic plan starts at $3.92/month for one website with unmetered bandwidth and data storage. Solid State Drive are equipped for data Storage to deliver cutting-edge speed and maximum performance. You can get unlimited bandwidth and storage, 99.9% uptime availability,cPanel and free site migration by choosing them. Furthermore, some exclusive features are Turbo (Making website Speed 20x faster) and A2 Site Accelerator, but these are only available in shared Turbo plan. Facing any issue regarding hosting account, website, server errors or whatever it is? Just contact technical support 24/7/365 via live chat, call, Skype, ticketing and email for experts help. One of the amazing things is their money back guarantee. According to refund policy, you can get the full refund within 30 days and after that pro-rated refund will be given for unused service. 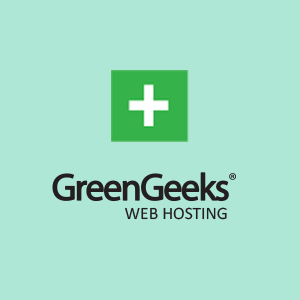 GreenGeeks is a well know green energy powered web hosting provider and another top-notch GoDaddy alternative. It is a privately owned company founded by Trey Gardner in 2008 with the aim to provide pollution-free web hosting. They are one of the leading green web hosts who commits using 300% renewable energy driven through windmills. The company has multiple data centers located in Chicago and Phoenix, US and Toronto, CA. They don't offer domain registration individually, but you get a free domain with each hosting account. There is all type of plans available to buy such as Shared, Reseller, VPS, Dedicated Server, and WordPress managed hosting. All the plans includes essential tools and features to manage your websites. For improved and high speed, they use SSD drive for data storage. Though you get bunch of great features and SSD storage for all plans, but their prices are low and affordable. You can buy shared hosting account just at $2.96/mo which includes unlimited bandwidth, domain names, storage, email account, MySQL databases, and yes 99.9% uptime. With each plan, you get a free domain registration or transfer, SEO tools, free site migration and a lot of other stuff. The company offers an enhanced and user friendly cPanel. In addition, they also provide Google App integrations and free nightly backup service. Like other alternatives of GoDaddy listed above, GreenGeeks also has a dedicated customer support team to help you 24/7 via live chat, phone call and emailing. Many tutorials are available based on managing websites and hosting within knowledge base section. Now, it's clear that Green Geeks offer great features with reasonable price but if you still have doubt whether to use them or not then there are 30 days (Refund policy) to get your money back. 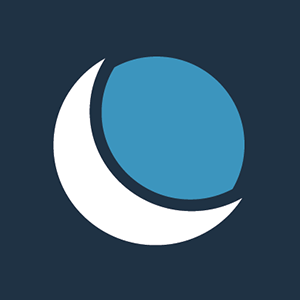 DreamHost was founded by college students Dallas Bethune, Josh Jones, Michael Rodriguez and Sage Weil in 1996. The company offers a wide menu of domain extensions, almost 350 extensions are available. They charge $13.95 for registration .com, .net, and .org TLDs and also offer special 85% discounts on .xyz domain. Like some companies (NameCheap) they do provide free WHOIS privacy protection with each domain registration. The user control panel is super easy to use which also includes custom nameserver. If money doesn't matter for your business then give a try to DreamHost, it provides reliable hosting, fast speed, and user-friendly customer support via 24/7 live chat and phone which makes it one of the most reliable GoDaddy competitors. Their plans price are a little bit costly, but DreamHost offers stable hosting solutions. The company uses latest technologies and tools to provide user friendly control panel and fast performance. Their data centers are locating at multiple locations in east and west coast of the USA. DreamHost has Shared, VPS, Dedicated, Cloud based hosting and WordPress optimized hosting packages. Their hosting plans are expensive compared to other hosting providing companies, but they do provide quality service and technical support. Shared Hosting plan comes with unlimited bandwidth, storage, email and domain hosting. With each hosting plan, you get a free domain, free WHOIS privacy protection, and even an SSL/TLS certificates by Let's Encrypt. You can contact the technical support team 24/7 via live chat, forum, and ticketing system but you must have an account to take benefits of customer support. Unfortunately, live chat is only available for paid customer (or must have an account, you can create a free account), so you have to buy a hosting plan. No doubt that their live chat support is very user-friendly, fast and helpful. Their support team is well knowledgeable and always try to FIX your issues. 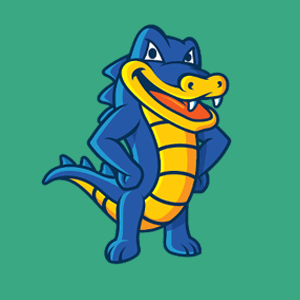 I am a big fan of HostGator and confidently can say it's one of the cheapest alternative to GoDaddy hosting due to affordable prices, reliable hosting service, and fast servers speed. As a domain name registrar and web hosting provider, HostGator has made substantial progress in the past 12 years. They are hosting more than 9 million domain names. I am using their web hosting for last couple years and never faced any serious downtime or critical server issues. Their servers uptime and page loading speed are far more batter than other shared hosting companies. Being honest, they are truly a best WordPress hosting company I ever used when it comes to shared hosting. Starting a website with HostGator is very easy and quick. Like every good web host, they also provide One-Click CMS script installer, website builder and thousands of free themes. With the help of One-Click installer, you can install WordPress, Joomla, or Drupal within few minutes (1~2 minutes). They also offer domain registration and transfer at reasonable prices. You can buy a domain name at $12.99 for .com extension and $12.95 for .net, .info, .co, and .org extensions. With cheap domain registry or transfer, they offer free domain locker and user friendly domain manager. You can avail shared, reseller, cloud, dedicated, and vps hosting packages from HostGator. There are a vast number of web hosting plans so you can choose the right one that fits your need. For beginners, they offer cheapest shared hosting plan that contains all necessary tools and add-ons to create a website. The very basic Web hosting plan includes unmetered bandwidth, data storage, and email accounts. HostGator provides customer support via Live Chat, Phone call, and Ticketing system, but their live chat usually takes 10~45 minutes to get in contact with customer support. Whether you are professional or newbie, you can get help from experts anytime 24/7. Regarding money back guarantee or refund, they offer 45 days duration. So, it's completely risk free investment. Conclusion - Which GoDaddy Alternative Should You Choose? Now I have discussed some services similar to Godaddy that you can use to get better web hosting as per my personal experience. I listed BlueHost and SiteGround on the top spots as both are officially recommended by WordPress.org. Moreover, their plans are cheap, and everyone can easily manage to affordable. You can activate CloudFlare with just one click within cPanel to improve your website's speed. In a nutshell, if you're looking for reliable, fast, and secure web hosting with 24/7 live technical support then without any hesitation choose B﻿﻿lueHost as it's an excellent Godaddy alternative for both domains and hosting. If you didn't find them satisfying just ask for the refund as you have 30 days to get your money back.